Want the best Mini ITX case for your needs? Find out which are the best small form factor cases for basic, gaming and home theater computers. When shopping for a cheap Mini ITX case, it's essential to choose one that accepts standard size components. This matters because standard size components = wider choice of cheaper parts = bigger savings. The Cooler Master Elite 130 scores big points here. Standard ATX power supplies, regular height expansion cards, regular height RAMs, 3.5" hard disk drives... this case takes them all. Thanks to its dual expansion slots and extra length clearance, it is even able to stomach an oversized high end graphics card. Despite its compact size and modest price, this shoebox case is able to contain a respectable number of drives: one optical drive (5.25") + two hard disk drives (3.5") + one solid state drive (2.5") all at once. If you're not installing an optical drive, the 5.25" bay can be converted to hold even more hard drives. USB 3.0's higher transfer speed (two to three times faster than USB 2.0) and quicker charging are just too useful to ignore, so we're making it a must-have. This case has not one, but two USB 3.0 ports (plus a third USB 2.0 port). The front location of the USB ports and audio jacks also makes them easier to access when the case is stashed in a cabinet or seated on a shelf. 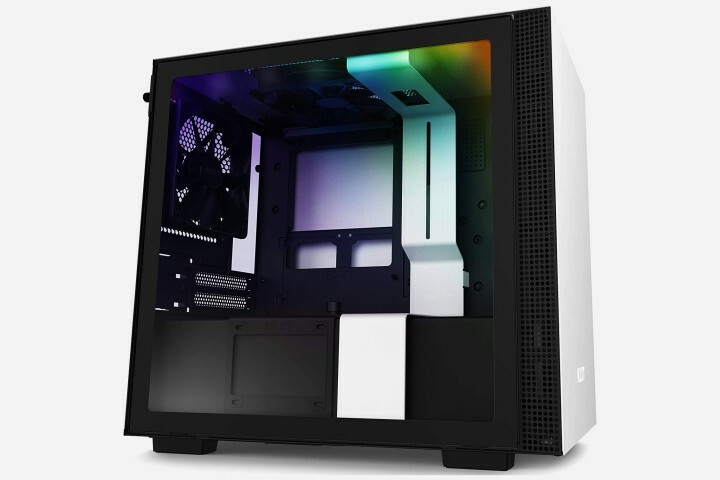 Its mesh front panel + unobstructed 120 mm front fan + 80 mm side fan deliver adequate cooling on par with more expensive cases (as tested by bit-tech). While most budget Mini ITX casings struggle with high temps, this case is somewhat able to cope with an overclocked CPU plus a high end graphics card. Selling for less than $50 on Amazon, Cooler Master Elite 130 offers tremendous value for money. While its low price is aimed at budget users... its features, capacity and cooling performance are good enough to meet the demands of most mainstream consumers and light gamers. Click here for Cooler Master Elite 310's latest price and specs. A Mini ITX gaming case has a lot on its plate. Besides supporting a high end (oversized) graphics card, it has to overcome the challenge of cooling a mid to high end CPU plus GPU in a tight space. The best Mini ITX cases for gaming will even allow you to tap into the unthinkable: serious overclocking. BitFenix Prodigy contains the three key ingredients for housing and powering a high end discrete graphics card: dual expansion slots, long graphics card clearance and support for a full size ATX power supply. With its hard drive cage removed, you get 320 mm of GPU clearance - enough to hold almost any graphics card (except for the very rare triple slot monsters). What makes this case a real star is its remarkable cooling performance. Temperature testing by Anandtech and bit-tech have confirmed one thing: This ~$80 case delivers superior cooling that's able to rival and even surpass ~$150 models from top tier brands like Lian Li and Silverstone. This case comes standard with two fans (front and rear 120 mm), plus you can install three extra fans for improved air flow. And the impressive cooling options don't stop there - There's even room for a 170 mm CPU cooler and 240 mm radiator. With a bit of tinkering, this SFF case will be able to house a tower heat sink and dual radiator liquid cooler for big time overclocking. The case's enormous capacity for hard drives also deserves a mention. Besides a 5.25" optical drive, you can install up to five 3.5" hard disk drives or nine 2.5" solid state drives... making it an excellent choice if you intend to set up a NAS or RAID. While BitFenix Prodigy is a bit larger than most Mini-ITX cases, its impressive ability to house and cool high end hardware is unmatched... especially for a small form factor case under $100. We highly recommend it for gamers and overclockers looking for a compact case that does it all. Click here for BitFenix Prodigy's latest price and specs. The best Mini ITX case for a HTPC needs to accomplish a few things. One, it should be small enough to fit almost anywhere: on a shelf, inside a TV closet or within a home theater rack. Two, it needs to be quiet so it won't interfere with your viewing experience. Three, it should be able to accommodate a Blu Ray or DVD drive. Measuring just 96 mm x 222 mm x 328 mm (3.8" x 8.7" x 12.9"), Antec ISK 310-150 is a dwarf among Mini ITX cases... but this minature case meets and even exceeds the three conditions above. Besides being real small, it's also bundled with a case stand so you can either lie it down flat or make it stand upright. Despite its size, this case is able to accomodate everything a HTPC would need, including 2 hard drives and an optical drive. The catch here is that you'll have to go for the smaller 2.5" hard drives (SSD or laptop HDD) and a slim optical drive, but those aren't expensive or hard to find. There are also two front USB 3.0 ports for connecting to external hard drives and other USB devices. Great care has been taken to ensure that this Mini ITX case is as silent as possible. The included 80 mm case fan comes with an external switch for you to control its speed. At low speed, noise from the fan drops to an inaudible 18 dB. Antec is also thoughtful enough to line the case stand with soft padding to reduce vibration and noise. Good to know: This case also comes with its own 150W Antec power supply. It's great not having to fork out a cent for a separate power unit, but is 150 Watts sufficent? As it turns out, 150W is more than adequate for a HTPC - A typical HTPC draws about 50 to 100W under load, so there's even enough power to install a low end discrete graphics card if you want. While some cases try to do it all, Antec ISK 130-150 is made for a very specific purpose: To be the best Mini ITX case for a HTPC. 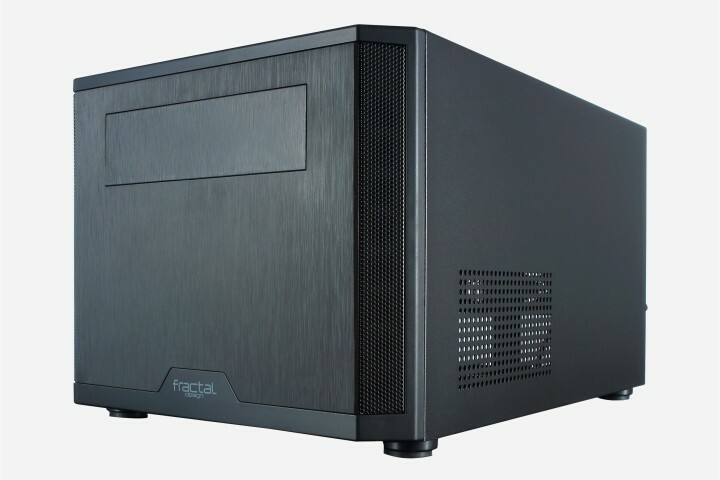 Offering the ideal amount of storage and wattage, this small silent case is perfect for most HTPC owners (unless moderate to heavy gaming is in the cards). 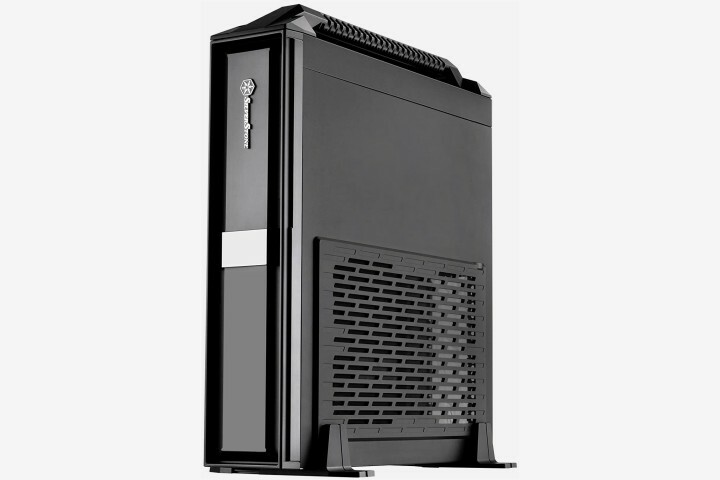 Click here for Antec ISK 310-150's latest price and specs.